What will be an elegant technique to remove objects matching a condition from a List in C# 2.0? If the following code finds a match, we’ll find out it’s a no-no. 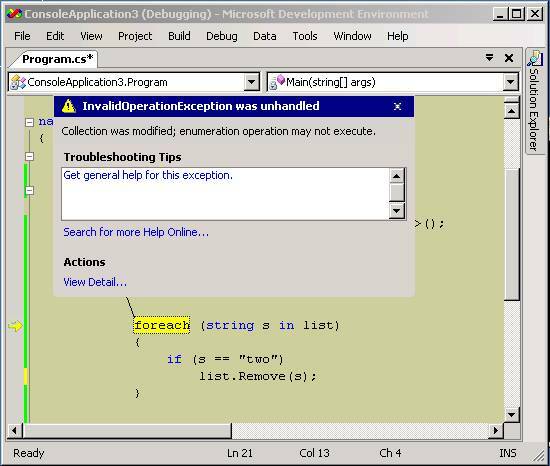 In VS2005, the code creates this friendly little dialog. Alternatively, you can keep your logic inside a named method. // and later . . . I feel either technique is easier on the eyes when compared to STL and functors in C++. Then again, I should be sleeping right now instead of blogging.